By clicking the IGM icon (the very last of the header tabs, with a piece of parchment and a quill illustrated), you will immediately be forwarded to your IGM inbox; from there, you can read and compose new messages and delete or archive old ones. In Game Messages, often abbreviated to IGMs, are the primary messaging system offered by Travian which is vital for in-game communication with other players. Also, the IGM system can be a means used by members of the Staff to communicate with you if you’ve asked them a question or in certain other cases. You can see the basic layout of an IGM on the image below. To write an IGM, all you need to do is click on the write tab in the IGM overview; then, start by adding a recipient in the very first field of the IGM; correspondingly, this field is known as the recipient field. Now, T4 has witnessed some new additions to the IGM system; most notably, the system can now automatically register the first few letters of the recipient name you’ve written, and a dropdown menu with recipient choices will appear. Next, you have the option to add people to your address book (the first icon to the right of the recipient filed – you can add friends there by typing in the name of their accounts and clicking save). Now that you’ve successfully entered a recipient, you can add a message subject, or alternatively leave it blank; either way, as long as there is a recipient, the will be sent, even if there is no topic or if the message has been left blank. So, you can type whatever you want in your message, but always be weary of the Netiquette rules. Insulting a fellow player or using profane language may result in a ban or punishment. When done, just click send. If you’re in an alliance (and also, if you’ve been given the proper authority by your alliance leader) you can send Mass Messages or Ally Messages. This can be done in two ways: by typing in [ally] as the recipient in the recipient field, or by clicking the second little icon to the right of the recipient field (the blue alliance icon). Clicking the small alliance button will immediately set the recipient to [ally]. When sending an MM, all players in your alliance will receive the message. If you’re a Goldclub user, you can store your messages too. This buttons allow you to use BB codes in your IGMs – just like in a text editor, you can make your text italic, bold or underlined - or a combination of all three! And there are a few more nifty options as well. So, we’ve already explained the function of the first three buttons. There are more, obviously; but, for the sake of the fluency of this manual, we will next explain the last three buttons before we hit the middle ones. Namely, these buttons allow you to add a bit of Travian flare to your message; the first one allows you to add resources, be it lumber, clay, crop or iron. Click on the button, then click on the resource you want; then just type a number after the code appears, and voila! When sent, it will show up as a tiny image of the resource. This saves you time, so you don’t need to type ‘wood’ or ‘clay’, and let’s face it; it’s also prettier. 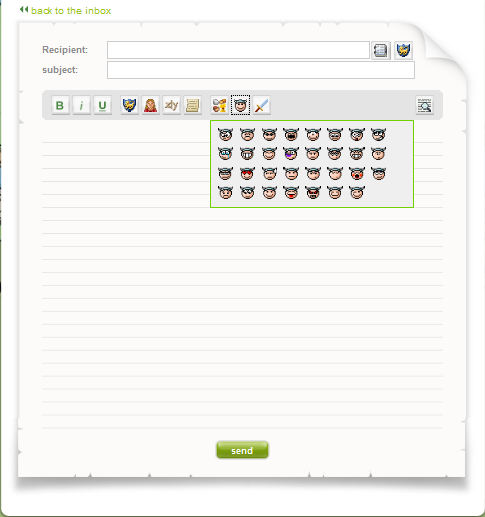 If you click on the little Viking button, it will expand to give you a rich assortment of smilies for you to place in your message. Finally, the last button with the little sword on it will allow you to add corresponding troop icons, just like the resource button allowed you to add resource icons. They work pretty much the same way; click on the icon, add numbers (or vice versa) and you’re all set. This brings us to the four buttons in the middle. The first one will allow you to add an alliance link to your message; press the button, and in between the two codes enter the exact alliance name. Or, enter the name, then highlight it with your cursor and click the button. The next one is the player icon; it allows you to add player links. These will show up as appropriate links; the former will take you to the alliance profile, the latter to the profile of the player. Next, you can also add coordinates, which will take the reader straight to the map coordinates you’ve entered. And finally, the last button will allow you to include a report in your message; this is a bit delicate. To add a report, you need the report ID number. Meaning, you need to take the last part of the report link straight from your browser address bar and add it between the two report codes; these are digits we’re talking about, so it should look something like this: [report] 2187686[/report]. There are additional options for sending reports; you can find their explanation on the Answers page too. Now, by clicking the very last button (the one to your far right) you will be able to preview your message, and see what it will look like to its receiver. It is nothing to worry about. Just wait the respective time shown and the issue will be solved. This function is helpful in case you do not want to receive messages from a player (for whatever reason you have). To ignore messages from a specific player, go to its profile and click on "Ignore"! Afterwards the messages of this players won't be delivered to you anymore. You can see which players you are currently ignoring if you click on the message button at the top of the page and choose the tab "ignored players" afterwards. 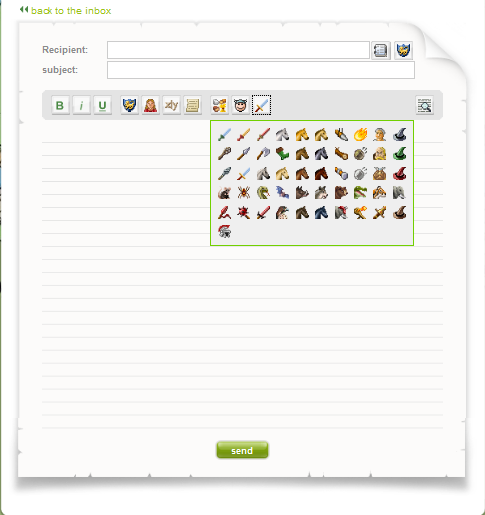 Reports are information-messages sent by Travian in order to inform you about events on your account, e.g. if you have been attacked by someone or if someone sent you reinforcements. The symbol is green and the message symbol is right next to it on the same circle. A complete battle-report will only be sent to you if you were either the defender (or both the attacker and defender) or killed at least 25% of the enemy troops in your attack. Reinforcement reports only show you the number of your own slain troops. In case there are reinforcements from more than 10 villages, and attack causes no losses, reinforcers will not receive a battle report for the event. 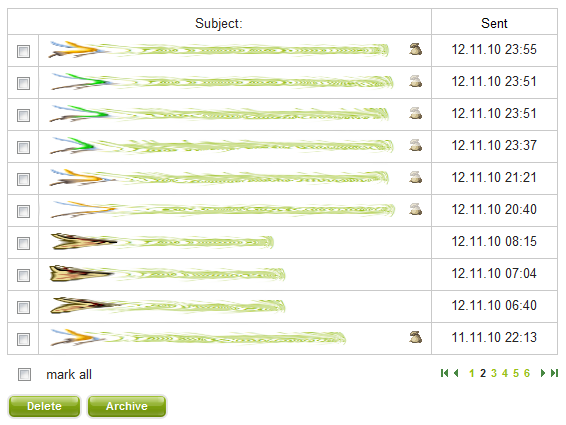 If you use a Plus account you are able to sort your reports to the date. 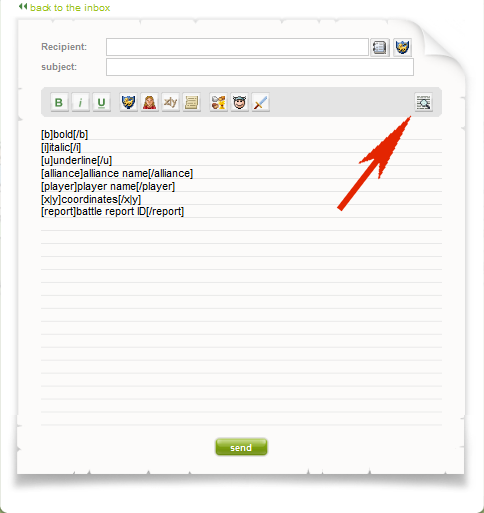 You may have noticed the various report icons in front of your reports. 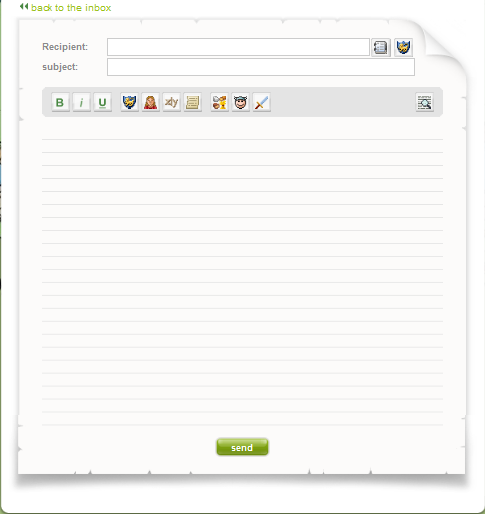 They were implemented to make it easier to differentiate between the reports. But what do they mean? And how can you use them? 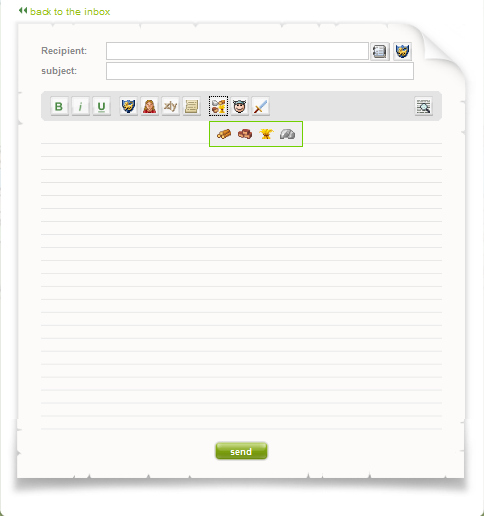 Therefore also the report icons can be divided into four groups. 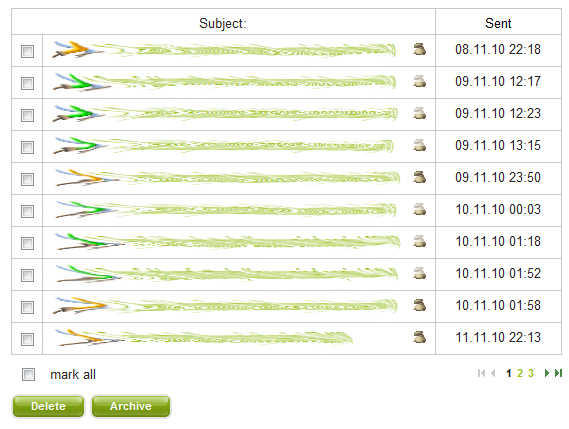 These icons help you to get an overview about the reports in your own report inbox. If you are part of an alliance you have an overview tab for the attacks of/from your alliance. Here the buttons also help you to sort your alliance attacks. To use this feature you just need to click on one of the icons on the picture below and will only see the reports of this type. This will furthermore enable you to see also older reports again. Additionally you can click on the 3 buttons above the report table. Button 1 is a filter for attacks, button 2 for defending and if you press button 3 it won't show attacks of your own alliance (with less than 100 troops and no losses). If you are unsure what they mean you can go again with the mouse over the button and you will see what it means. You are enabled to share your battle reports also with every player on the server. The "code" after the | you get only for own reports (this means that it will not be visible in the alliance attack overview). Now you can decide whether you want to give someone the link to the complete report or not. If you send away the reduced link (s6.travian.com/berichte.php?id=1168740) then only alliance members and sitters are able to read the report. But if you send away the complete link (s6.travian.com/berichte.php?id=1168740|6063be47) then everyone from the server you like is able to read the report. Travian: Legends has a completely new category of reports - these are vicinity reports, and they are unlike the other reports you will see/receive in Travian. Firstly, vicinity reports are not received at all, like the reports you get when trading or attacking/defending. To view vicinity reports, click on the reports overview button in the header menu; from there, select the very last tab dubbed 'Surrounding'. These reports will bring you news of happenings in your surrounding area, regardless of whether you've participated in these events or not. They will provide you with useful information about your immediate surroundings, like when an oasis has been raided, a village has been founded or when a fight with losses has taken place in a nearby village. Even village name changes will be included in these notifications. The time and date of the event will also be shown, as well as the player who caused the event to happen. For instance, if someone changes their village name, the vicinity report will show you which player changed his village name, as well as the old and new name. However, reports about oasis raids will not show the raider's name, nor will the attack reports - if a player has been attacked with losses on one of the sides nearby, the report will inform you that the said player has been attacked, but not with whom. The vicinity reports will cumulate in time, so you will always have an overview of what has happened in the past; you cannot delete or clear these reports.